We at FriesenPress are mourning our beloved author, Olga Kotelko, who passed away this Monday at 95-years-old. The Ukrainian immigrant-turned-Vancouverite and renowned athlete defied what the human body and mind can do. 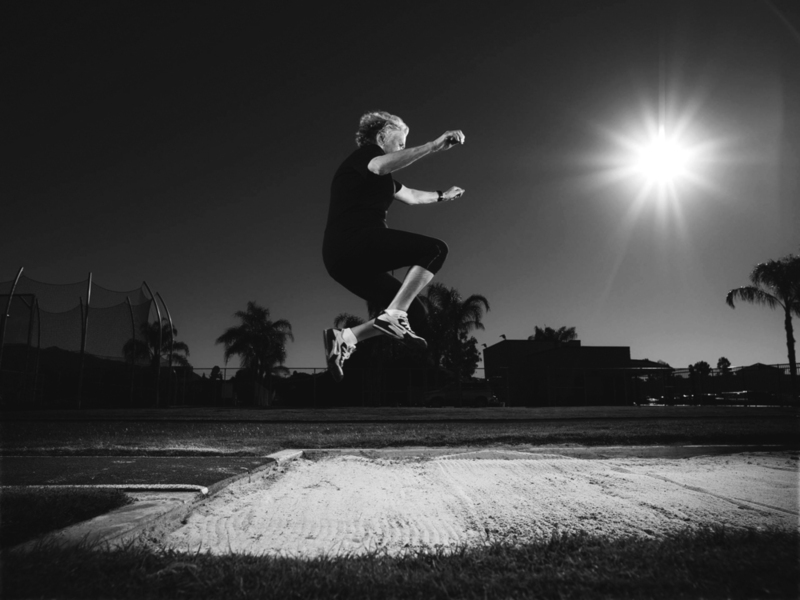 After a career as a teacher, Olga switched paths at age 77 to track and field athlete, a move that took her across the globe and into many record books. Daunted by writing a book for someone as high-profile as Olga, Roxanne took cues from Olga's “go for it” attitude. The two set to work once a week to chat and write together - for two-and-a-half years. Olga’s toughness was hardened through the years, once being dropped off a sleigh at seven-months-old, lying in the snow until the carriage returned from a mile away, working to the bone on the family farm, and leaving an abusive relationship at a time that was unheard of for a woman to do. She was always on the move. Whether at home or at the track, Olga led the enjoyable, active life she wanted for others.